COENZYM EXTRA! 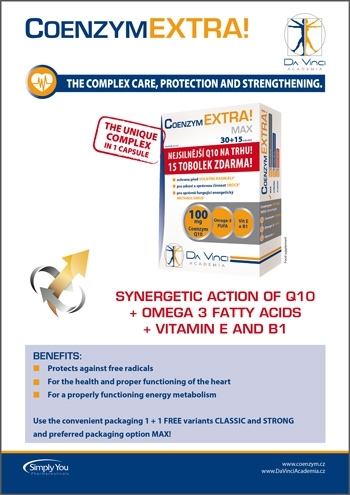 MAX Da Vinci Academia - Simply You Pharmaceuticals a.s.
All of the Da Vinci Academia Premium Products Line are being manufactured in accordance with the newest modern research and development. They reflect the principle of optimal balance between nature and the human body needs. The unique combination of active substances is joined with the natural purity of the raw ingredients and the modern manufacturing formulas and methods.